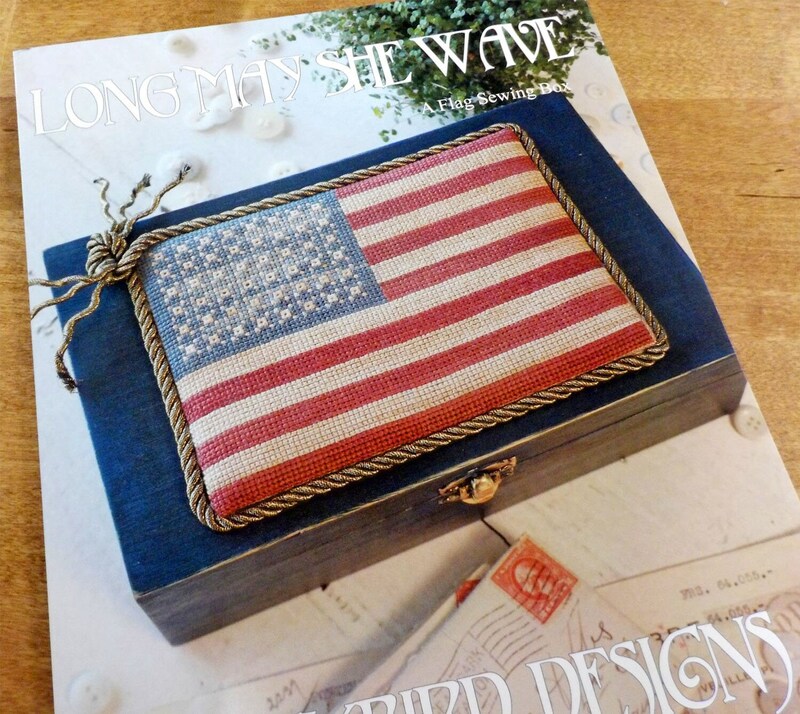 Long May She Wave-Sewing Box by Blackbird Designs...cross stitch pattern, cross stitch. Show your patriotism with this cross stitched flag that is adhered to the top of a sweet little wooden box. A perfect place to keep your mementos.